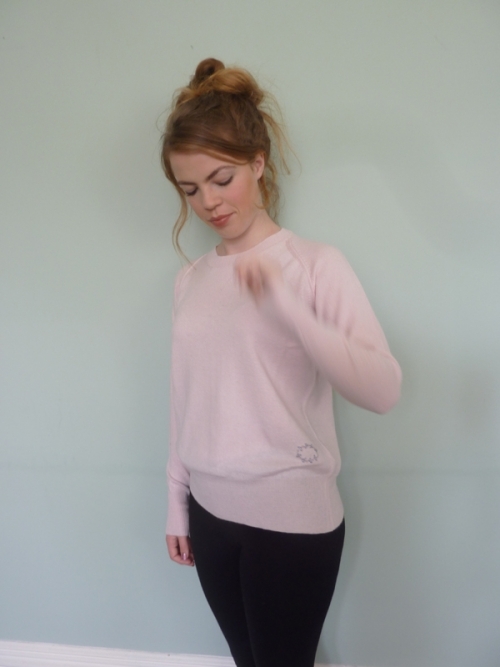 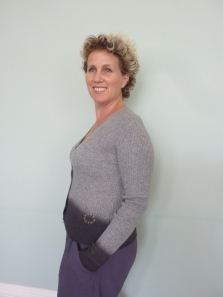 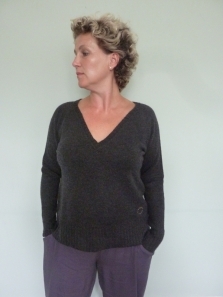 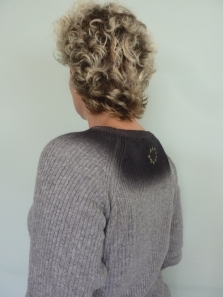 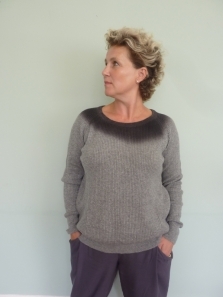 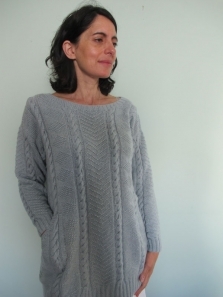 Lovely cashmere jumper, raglan sleeves with detail seams. 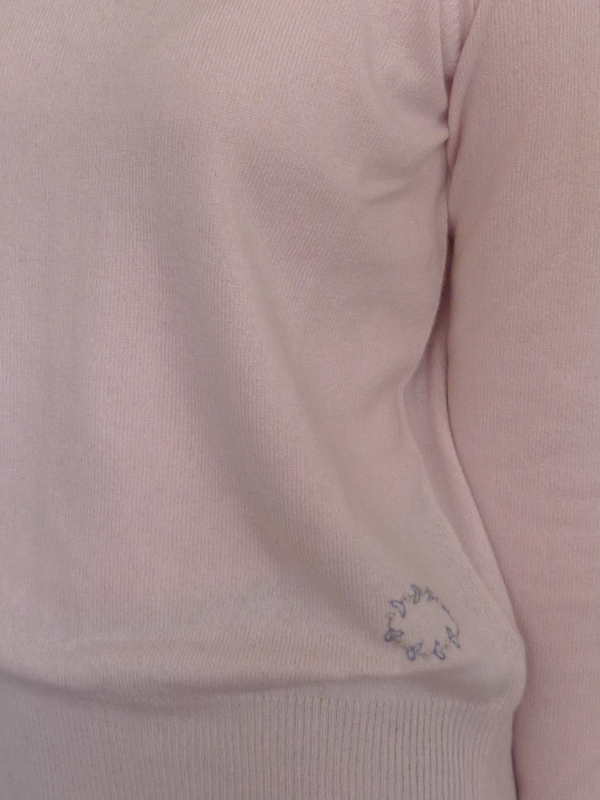 Fake ribbed V at centre front, embroidered wreath on hip. 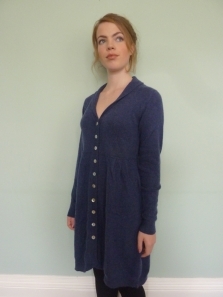 Modern and easy to wear, perfect with jeans.